the pictures on your page bring it home.Thank you! " He ends his message with a kind "Thank you!" to us, but we feel that thanks is also due to MSgt Swinson for recognizing us for who we were and for what we did. Nearly all of us went through thirty years without recognition or thanks. It's certainly appreciated, and, for one, I believe that it's better late than never. 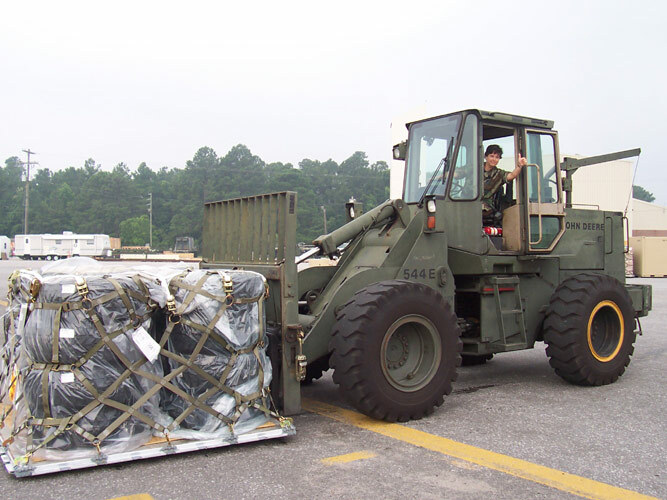 436th Aerial Port Mobility Flight at Dover AFB, DE. why we had to know about defensive fighting positions and fields of fire. the Aerial Port mentality hasn't changed. "Get the Stuff To The Fight!". the pictures on your page bring it home.Thank you! sounds like the trip to the wall was a success. That's terrific! drive crashed soon after returning home. in the 332 APF "Tail Chasers" photo. I'm on the far right standing. job done was one of the most rewarding things I've ever done. I also attached the AT photo you asked for. The John Deere's are sweet! 2004 Version of the 463L System 10K AT. Made by John Deere. The ones we used in Vietnam were made by Euclid and introduced during 1968. 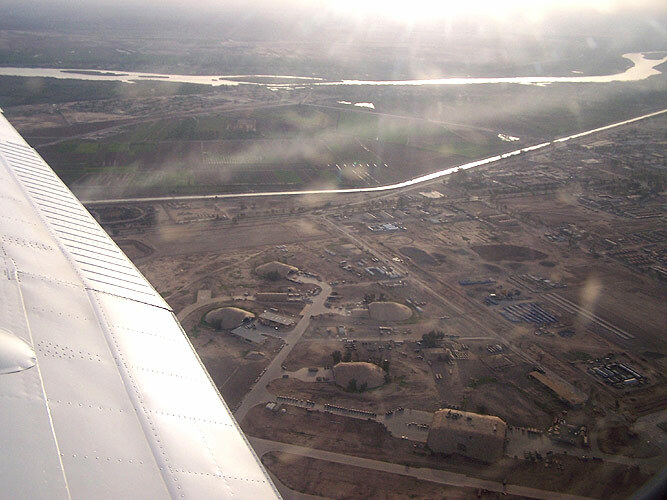 Balad Air Base from the air - Iraq, 2004.